License the film and book an appearance! 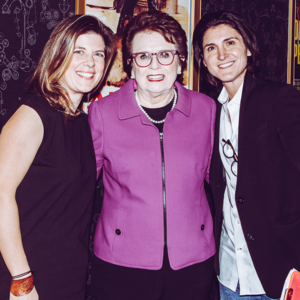 Kristen Russo, Billie Jean King, Lauren Lubin at Alamo Drafthouse Screening. Dr. Bennyce Hamilton, Lauren Lubin, and Dr. J.A. Carter at Miami Hamilton Pride. Lauren Lubin and Andrew Seger at Alamo Drafthouse Screening. We Exist: Beyond the Binary is one of the first films to document a growing community living life “beyond the binary” construct of gender. We Exist offers a first-hand account of what it is like to exist other than male or female while living within the confines of a world that is slow to catch up. Featuring non binary activists Tyler Ford, Kristen Russo, and Lauren Lubin, as well as Dr. Athony Vivasis (Clinical Director of Medical Services at Callen Lorde Community Health Center) and Dr. Charles Garramone, Board Certified Plastic & Reconstructive Surgeon at The Garramone Center. We Exist is a compelling, informative documentary addressing one of the foremost issues of the day. Designed with education in mind, We Exist interviews non binary individuals, activists and doctors to weigh in on subjects ranging from the gender binary/social constructs, pronouns, access, and safety, while telling the riveting story of Lauren Lubin. 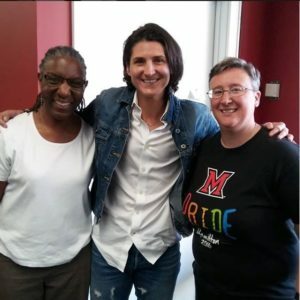 At 55 minutes, including educational graphics within the film as well as a free study guide, We Exist is an excellent option to explore the gender binary in the classroom or at larger venue.